Welcome to our Costumes & Characters page. Due to our vast show and event repertoire we have a selection of costumes & characters now available to make your next party, event or celebration even more special and THEATRICAL. There’s lots of magical, fun and fantastic costumes and characters to choose from! 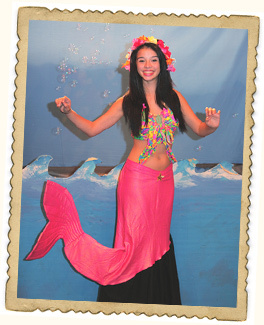 Need a costume for a party, holiday, Halloween or a school play? We might have just what you are looking for! 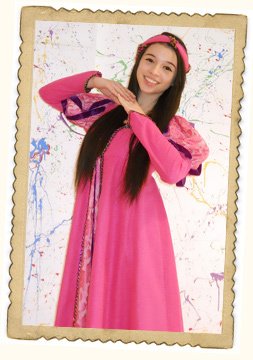 Our inventory includes Fairy Tale and Storybook Characters, Renaissance, Medieval and Modern day costumes. Costumes come complete with accessories such as jewelry, hats and belts. Adult and teen sizes available. We are currently taking inventory and will be updating our full list of costumes in the future. In the meantime, just give us a call with your specific request and we’ll see if we can help. We have many unique costumes, most of which come from professional theater costume houses. 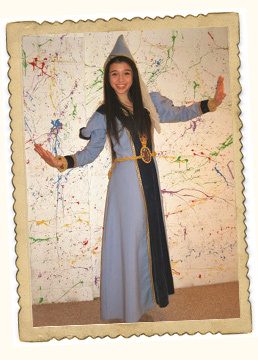 In many cases we are able to send a digital photo via email of the costume to see if it meets your needs. Right now we are servicing Central New Jersey as well as some neighboring towns in Monmouth, Union and Bergen Counties. Payment is accepted in cash or PayPal only. Contact us today! If you don't see the character you are looking for just give us a call, we may be able to find it. We can customize activities for the party based on the character and the child. Activities include storytelling, interactive musical games, dancing, scavenger hunts, temporary tattoos, hula hoop game, bean bag toss and MORE! Our character will also pose for pictures, hand out themed party favors and make sure the honored child is the special guest star! Make your child’s wish come true – reserve one of our characters TODAY! 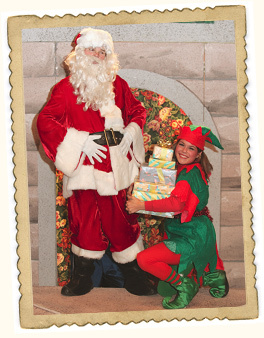 Ready to make special memories at the holidays – hire a visit from Santa Claus himself! Our Santa makes a grand entrance with his deep Ho-Ho-Ho accompanied by holiday music. Santa hands out candy canes from his festive red bag and can deliver your holiday party gifts. Santa can also read a Christmas story, lead the singing of Christmas carols and pose for pictures. We even have “Edie the Elf” available as Santa’s helper or Edie can make solo appearances to add fun and whimsy to any holiday celebration. If you have a specific theme or idea let us know – we’ll try our best to accommodate it! Right now we are servicing Central New Jersey as well as some neighboring towns in Monmouth, Union and Bergen Counties. Payment is accepted in cash or PayPal only. For more information give us a call TODAY! Sorry we do not have the Easter Bunny or Elmo.